An anthropologist was winding up several months of research in an African village, the story is told. While waiting for a ride to the airport for his return flight home, he decided to pass the time by making up a game for some village children. His idea was to create a race for a basket of fruit and candy that he placed near a tree. But when he gave the signal to run, no one made a dash for the finish line. Instead the children joined hands and ran together to the tree. 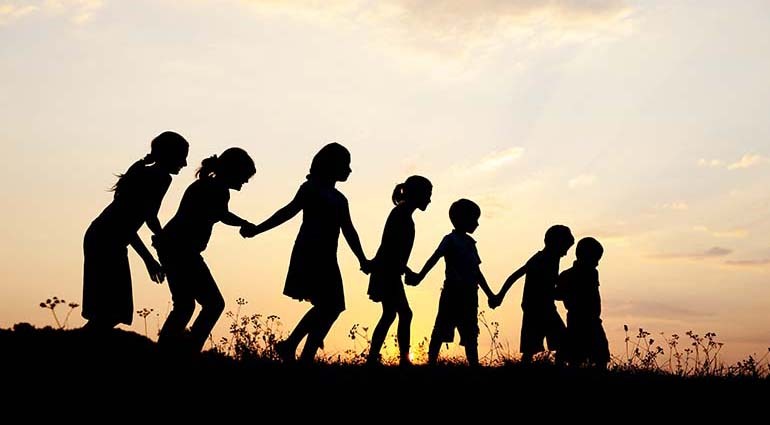 When asked why they chose to run as a group rather than each racing for the prize, a little girl spoke up and said: “How could one of us be happy when all of the others are sad?” Because these children cared about each other, they wanted all to share the basket of fruit and candy. After years of studying the law of Moses, the apostle Paul found that all of God’s laws could be summed up in one: “Love your neighbor as yourself” (Gal. 5:14; see also Rom. 13:9). In Christ, Paul saw not only the reason to encourage, comfort, and care for one another but also the spiritual enablement to do it.